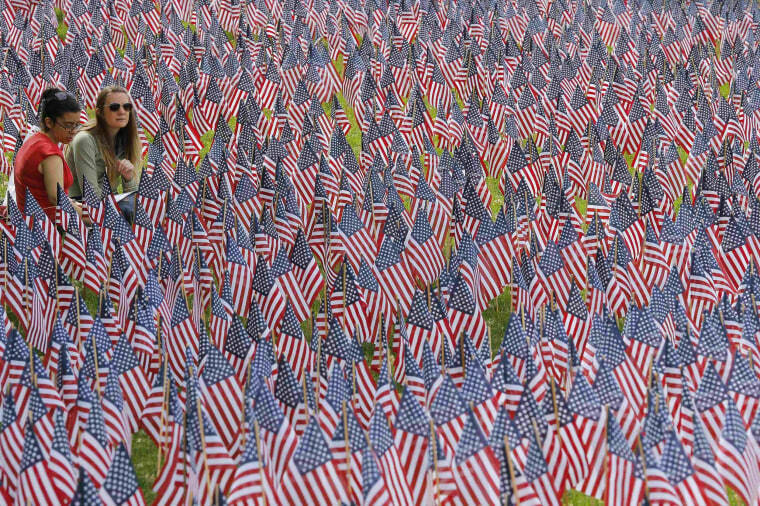 Two women sit at the edge of a field of U.S. flags on the Boston Common Saturday, two days before Memorial Day. The Massachusetts Military Heroes Fund provided the flags. The 37,000 U.S. flags are planted in memory of every fallen Massachusetts service member from the Revolutionary War to the present.